Explore the rich culture and heritage of the historic architecture, ancient churches, beautiful parklands, and picturesque villages on this vacation that brings together the new world with old world charm. 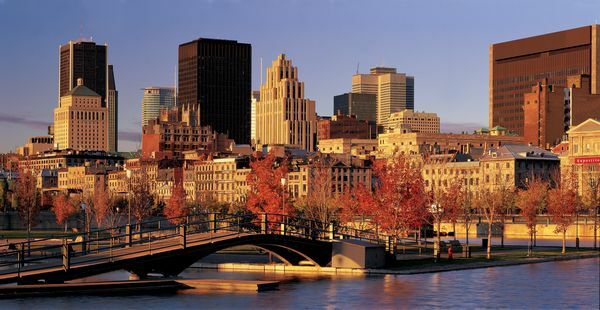 Enjoy a 3-hour guided sightseeing tour of Montreal featuring Dominion Square, Place Bonaventure, Court Houses, Old Montreal, Notre Dame Basilica, The Harbour Front, Ride by Olympic Park, the Old French Quarter, Mt. Royal Park & Beaver Lake, Downtown Financial District, University of Montreal and McGill University. 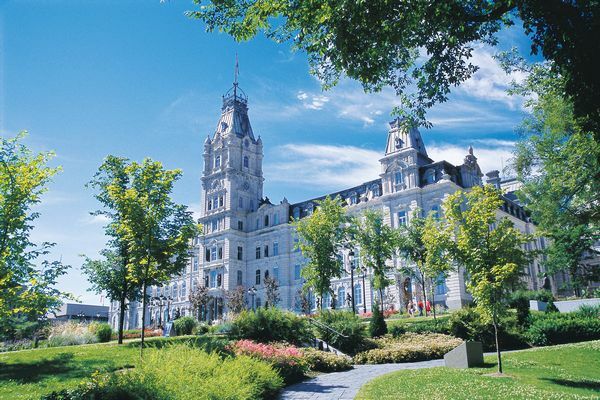 This extensive 2 1/2 hour guided sightseeing tour of Quebec City includes views of the Plains of Abraham, Cape Diamond, Joan of Arc Gardens, Grande Allee, Parliament, Place d' Armes, Old Quebec, Chateau Frontenac, Place Royal & much more. A masterpiece of Gothic Revival architecture, Notre-Dame Basilica was built between 1824 and 1829. The magnificent interior in wood and the boldly modern design of the Notre-Dame-du-Sacre-Coeur Chapel, captivates hundreds of thousands of visitors each year. Paintings, sculptures, and stained-glass windows illustrate biblical passages as well as 350 years of parish history. The Basilica of Sainte-Anne-de-Beaupre is a basilica set along the Saint Lawrence River in Quebec, 19 miles east of Quebec City. Paintings, mosaics, stained glass windows, stone and wooden sculptures reveal the extraordinary beauty and history of the Shrine, and the important role that it continues to play in the faith of the people. Classified as a historic site in 1994, Montmorency falls affords spectacular views over the St. Lawrence River and the capital. Renowned for its impressive 272-foot high waterfall, 1 1/2 times the height of Niagara Falls, the park features many points of interest. The Casino de Montreal is surrounded by a breathtaking parkland overlooking the St. Lawrence River and is situated in magnificent Parc des Iles. The Casino features 88 gaming tables with more than 1,700 slot machines, Keno, and electronic track horse racing. The Casino offers many restaurants from fine gourmet dining to a sumptuous buffet, fashionable bars with live entertainment and two boutiques. Dress code is enforced. No sweat pants, shorts or beachwear. Any clothing depicting violence or associated with any recognized violent group is prohibited. Entrance is restricted to persons 18 years & older. Sitting majestically atop Albany's State Street hill, the New York State Capitol has served as the seat of government for New York since the 1880s. The building is a marvel of late 19th-century architectural grandeur, built by hand of solid masonry over a period of 32 years. Enjoy the Best Western Ville-Marie Hotel, located in the heart of Montreal, beside famous Mount Royal park and steps from Ste-Catherine and Crescent Streets famous for their boutiques and nightlife. Le Parmigiano features Italian specialties (Pastas , Veal , Grills , fish ) as well as Montreal favorites! Cafe Castel, a European style cafe offers guests a unique ambiance to enjoy some of the finest sandwiches and salads. There are also many restaurants just steps away from the hotel. Guestrooms include coffee maker, iron/board, hairdryer, and refrigerator. 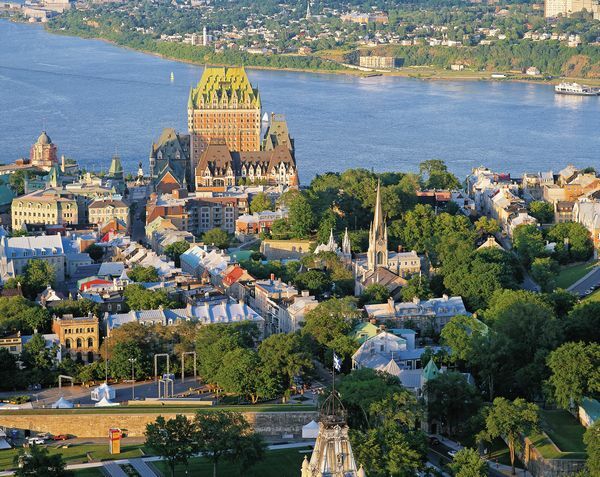 The Hilton Quebec is just steps from the Old Quebec attractions and all of the rooms have a breathtaking view overlooking the Quebec City region. The hotel features a four season heated outdoor pool which is open year round as well as a fitness center that is open 24/7. The Allegro restaurant offers international cuisine showcasing regional product. Guestrooms include coffee maker, hair dryer, safety box, and iron/board. Refrigerators are $15.00 per stay (subject to change). The Clarion Inn Lake George is conveniently located at the Adirondack Outlet Mall and only 3 miles from Lake George Village. The hotel features an indoor pool, hot tub, and Fitness Room. The Olde Post Grille serves full breakfast Saturday and Sunday (8am-11:30am) as well as lunch and dinner. Guest rooms include hairdryer, coffee maker, iron/board, and refrigerator. -We strongly recommend that your passport be valid for six (6) months beyond the completion of your trip. Passengers with physical disabilities may find it difficult to participate in some of the activities on this tour. -For travel to Canada, a Passport Book or Passport Card is always needed when leaving or returning to the U.S. by motorcoach. Children 16 and under can cross the Canadian border using only a U.S. Birth Certificate (original or copy) with both parents named listed. Children under 18 not traveling with both parents must have special notarized approval from both parents. Starr Transit Co. Inc. cannot accept liability for any passenger refused entry into any country due to failure of the passenger to carry correct documentation.